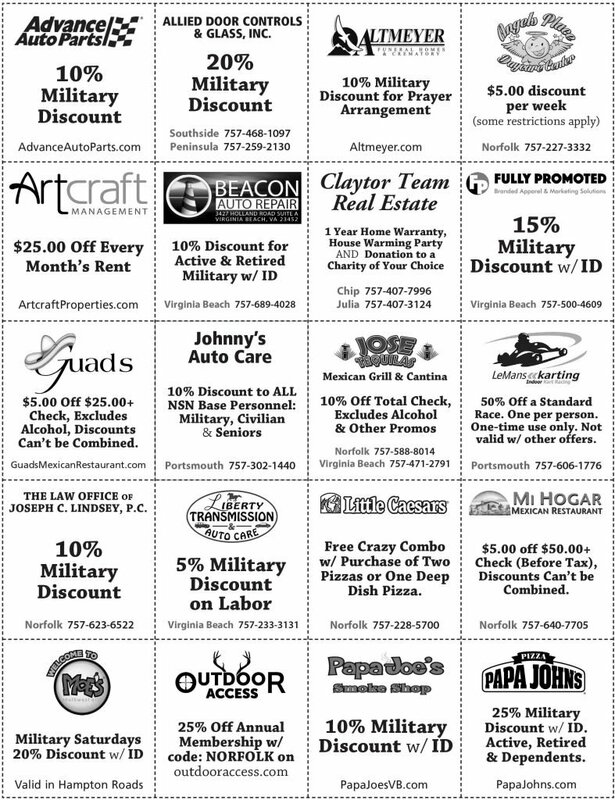 The Discount Card Program, offers all NAVAL STATION NORFOLK BASE PERSONNEL (active Duty, Civilian employees & retired Military) a variety of discounts and promotions given by supportive businesses in the Hampton Roads area. 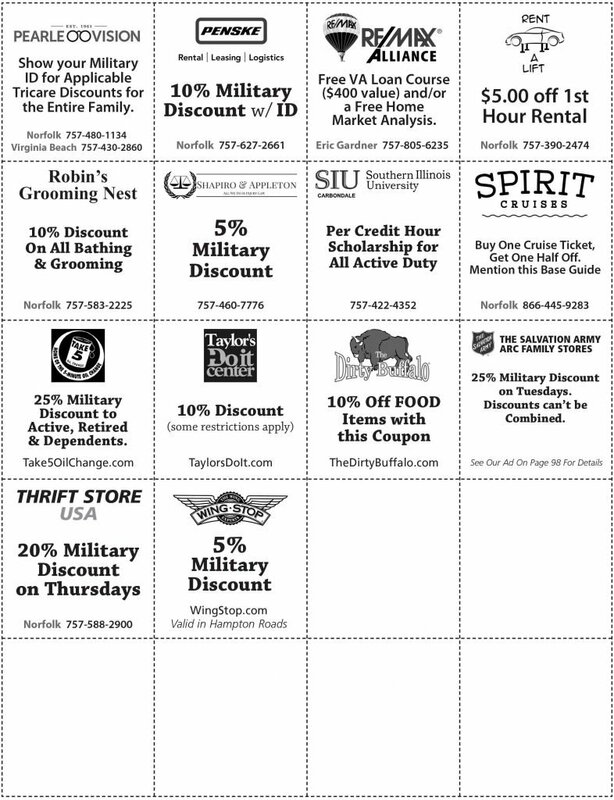 Print these cards, keep them in your wallet and take advantage of all the savings all year. Be sure to present your card and mention the Naval Station Norfolk Base Guide and Command Directory to redeem your savings!